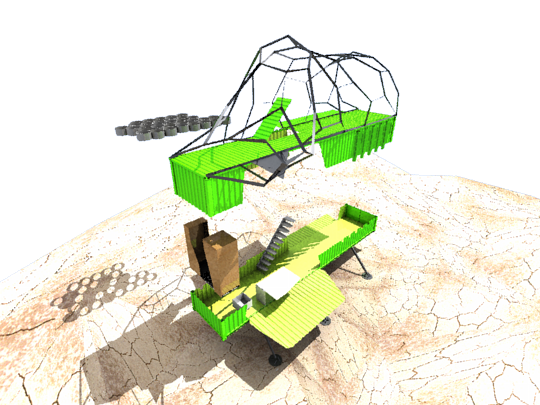 SEED is utilizing the existing surplus of shipping containers to develop affordable housing after a natural disaster. SEED is utilizing an existing surplus of shipping containers and working with industry partners to research and develop an affordable housing solution for the Caribbean Region. Caribbean nations inherently import more goods than they export, generating a steady surplus of shipping containers. Shipping containers are designed to carry massive amounts of cargo and withstand extreme weather conditions, making them a logical housing component. Completely constructed of steel, reinforced with eight corner post moment connections and corrugated steel walls; a 40′ shipping container can carry 67,200 pounds, resist winds up to 140 mph and eliminates problems like molds, fire and hurricanes. With modification a 40′ shipping container can be a safe, comfortable and environmentally friendly home (304 square feet of floor space) for numerous local inhabitants, who would otherwise have less. SEED’s plan for emergency housing involves utilizing shipping containers, which withstands earthquakes, hurricanes, fire, mold and vandalism. Upon arrival in the harbor of Port-au-Prince, strategic holes will be cut into the sides of the container for light & air and “pods” (wooden shipping pallets) for water and electricity are being installed. After transporting the containers to the site of destination, the containers are installed on the foundation. Here, the exteriors would receive a coating of insulating ceramic paint and other modifications, to make the boxes liveable. Each container would also receive a starter garden on the roof consisting of a 55 gallon drum filled with dirt and planted for insulation and “emergency food restoration”, for instance when the ground may be contaminated by stormwater. The water for the “waterpod” is collected in a 55 gallon drum and will be filtered through the drums before being used in the shower or the sink. An additional roof, a canopy, is placed over the container to keep the homes cool. Reused tires could be included to create instant raised beds and other modifications can be done on the long term. When another natural disaster strikes, people can close the containers and the containers will save their belongings. When people return to their homes, they don’t have to build up their houses and communities from scratch again. The Earth's climate has changed throughout history. Most of these climate changes are attributed to very small variations in Earth's orbit that change the amount of solar energy our planet receives. The current change has caused a shift in precipitation patterns and an increase in storm intensity. These storms, and other natural disasters, can cause incomprehensible destruction and leave many people homeless. In many of these cases these people do not return to their land for years, sometimes never. Aside of this phenomena, 90% of the non-boat cargo moves by shipping container. This advanced network of seaports circulates goods quickly around the world. Raising shipping costs has left thousands of empty containers in ports throughout the world (30 million in the world), bringing them back is more expensive. After a natural disaster strikes, people are provided with emergency housing to return quickly to their lands. The community involvement is restored and increased immediately with the reuse and modification of the surplus containers. These alterations encourage the developments of jobs, like the creation of a new healthy, productive and sustainable agricultural practice on the damaged (and toxic) grounds as well. This sustainable practice reduces the resources consumption and creates alternative water and energy sources. The emergency housing transforms slowly into a sustainable permanent living and provides an increased safety for other natural disasters. 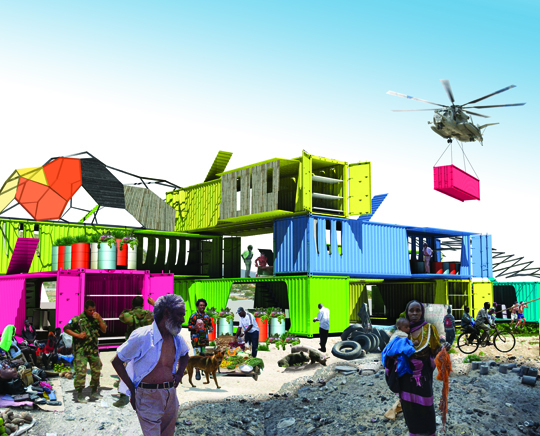 The life-cycle of the housing is expanded and the dependence on post-disaster (food) aid is reduced, just like the container surplus. The biggest hurdle of the project is getting the containers to Haiti and therefore SEED is working with shipping container companies and governments to donate used containers or to supply the equipment needed for modification. Besides after the earthquake in Haiti, the harbour of Port-au-Prince was completely demolished. 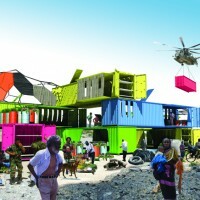 If all entities get coordinated, the shipping containers would reach the right areas. Public attention could help raise funds, a reason why SEED presented their prototype on the 6th Annual National Sustainable Design Expo on the National Mall in Washington D.C. The Design Expo was created to bring together professional scientists, engineers, business leaders to get funding for their projects. SEED is addressing a pressing humanitarian, environmental and social need. The places, struck by natural disasters, are often in dire need of better housing and provided by the SEED project. The container homes are simple, smart and quickly implemented on site (within three weeks of dislocation), while still being adaptable and flexible to the circumstances and personal preferences using local skills, labor and materials. 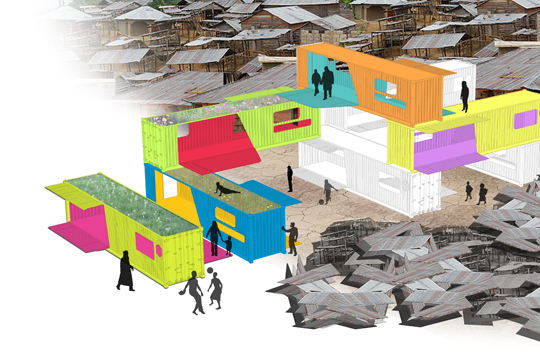 The container eventually becomes a sustainable permanent living space in a stronger and healthier community. SEED, a careful chosen name, an analog. 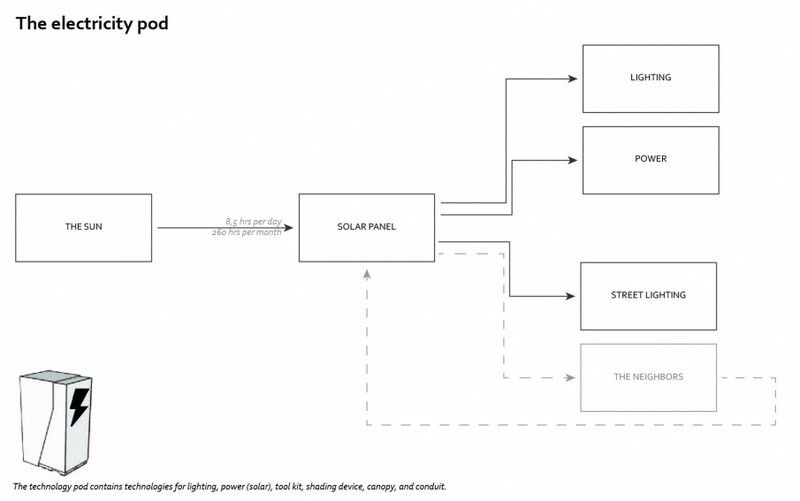 A global system of event based solutions capable of providing immediate housing after hurricanes or natural disasters. Local interventions, skills and materials will eventually develop the provided housing into permanent housing. A final design that is dynamic taking on a symbiotic relationship with the local cultures and identity.